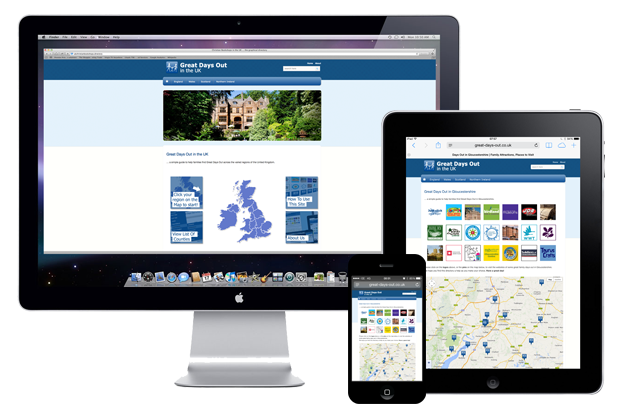 During Autumn 2013, the Quoakle team followed up the success of its new graphical UK Restaurant Directories with the development of a graphical Days Out Directory for families – Great Days Out in the UK. On the directory there is a page dedicated just to Oxfordshire Days Out. There are lots of great ideas for things to do across the county of Oxfordshire … family attractions, places to visit and leisure activities. … It’s quick and easy to use! Drawing on ideas refined on Quoakle’s local business directory, we wanted to create a days out directory with a clean, clear look, and a simple page layout promoting each attraction’s brand through the prominent display of its logo as well as enabling users to see at a glance exactly what they want … and then with just one click, reach the website in which they are interested! Our mission is to connect our users quickly and easily with a great variety of days out activities and family attractions through a directory that is structured very simply – county by county. If you’d like to learn a little bit more about us, click here. Otherwise, enjoy your Great Day Out!